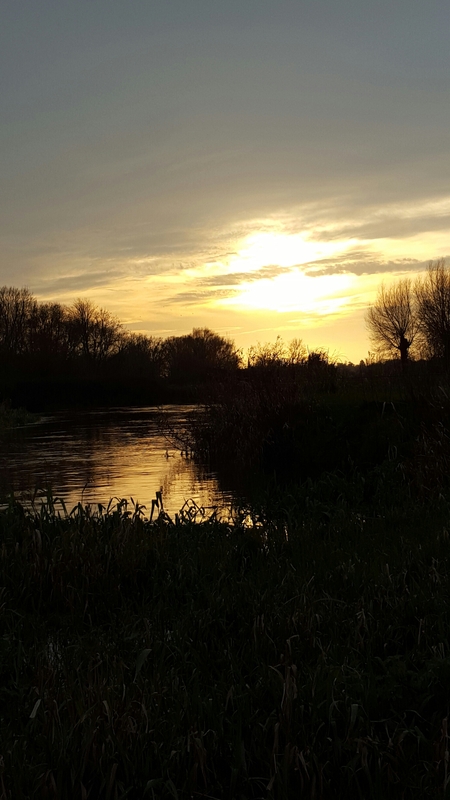 Today is the start of my Winter campaign to catch a 25lb Hampshire Avon pike. I have two months to do this, which should be plenty of time. 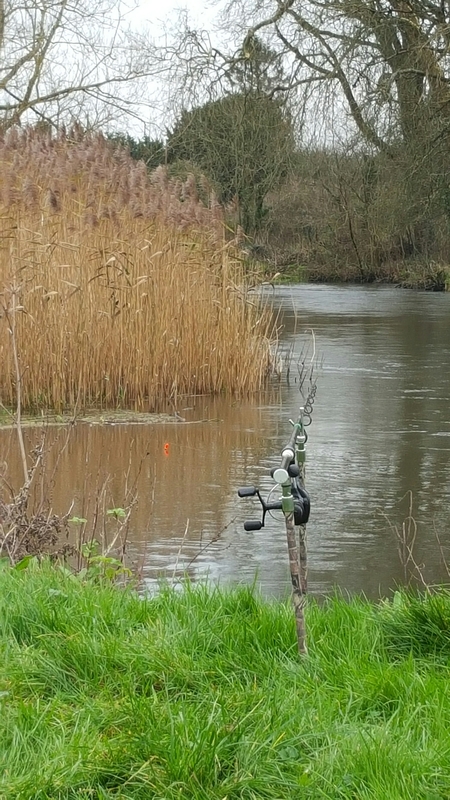 I do vary my approach from small single rod spots to large open bends on the river. I will also move around a bit but if along the way, I see a likely spot, I will always drop a bait in there for 15 minutes or so. So far today, I have been in 3 areas and have had one fish. A nice 21 lb 10 oz pike taken on a Joey Mackerel. I tend to use Mackerel, Herring or Sardines when Pike fishing. Around 1230, I moved again and had a pike of around 10 lb. Within 10 minutes of arriving in this swim – which was where the 20 lb (ers) had come from this morning. I was having a bit of a dilemma now, as I did not expect to catch so fast. 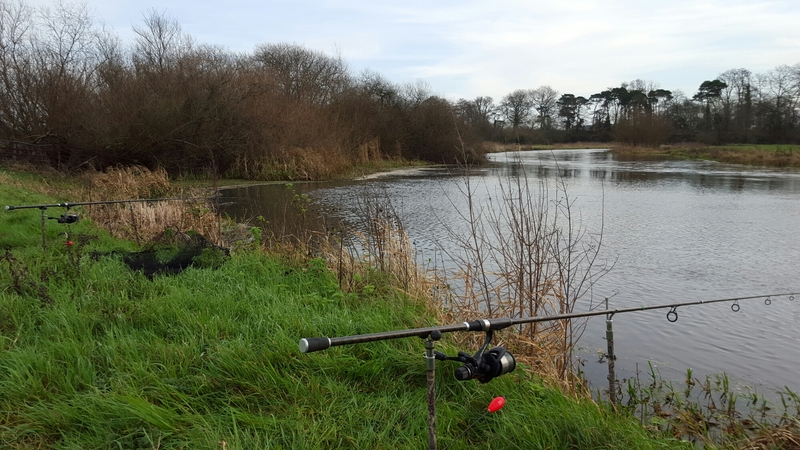 At this point in time, I had not had a bite to eat or even a drink due to my wondering around, looking for likely pike swims for my quick day session and for my barbel trips next year. Unfortunately for me, my next choice of swim was on the opposite bank and I had spotted an angler walking along the other side heading for that swim. I will have to wait for another day. With the sun slowly going down, I stayed in this swim as the only other option was a car journey move. 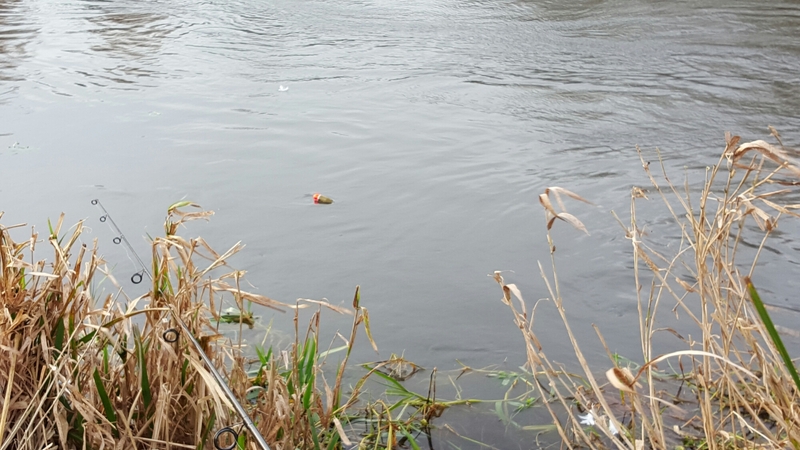 This could have resulted in no free swims as it is the Bank Holiday after the Christmas weekend and there were a few angler’s on the bank today. That was all for my trip out.